RENO, Nev. (AP) -- The first full year of legal marijuana sales in Nevada exceeded expectations by 40 percent, state tax officials said Tuesday. 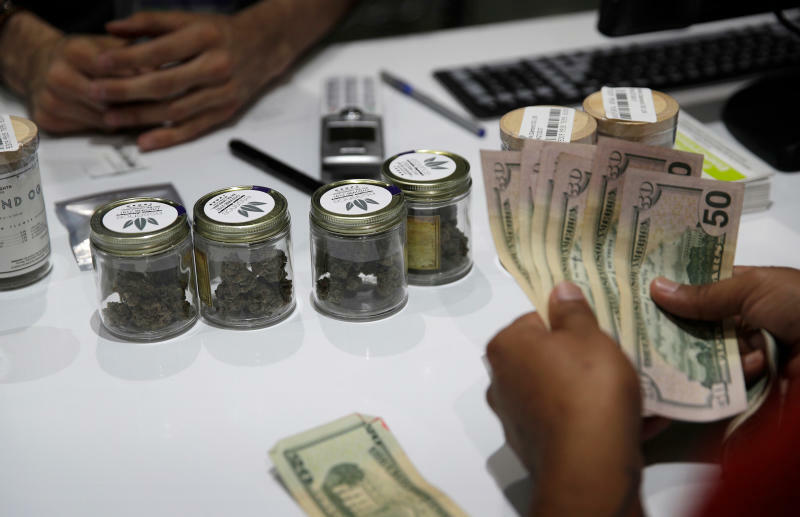 Taxable pot sales statewide totaled $529.9 million and raised nearly $70 million in tax revenue, including $27.5 million for schools, the Nevada Department of Taxation said. Adult sales that first became legal on July 1, 2017, accounted for about 80 percent of that figure and sales for medical use made up about 20 percent of the total for the fiscal year that ended June 30. State Tax Director Bill Anderson is predicting combined marijuana tax revenue will total $69.4 million in the current fiscal year ending June 30, 2019. The number of marijuana dispensaries selling pot for adult use in Nevada totals 61, with three additional outlets dedicated solely to medical sales. Only dispensaries that already were selling medicinal pot were granted recreational licenses for the first year, but that restriction won't apply going forward. "As we move into fiscal year 2019, we expect to see continued growth in the industry by way of additional businesses opening up, and we expect revenues to continue to be strong," Anderson said Tuesday. In addition to exceeding fiscal projections, he said broad marijuana legalization has proven to be largely successful "from a regulatory standpoint." "We have not experienced any major hiccups or compliance issues, and our enforcement staff has worked diligently to make sure these businesses understand and comply with the laws and regulations that govern them," Anderson said. In addition to the $27.5 million dedicated to schools, about $42.5 million was raised this fiscal year for the state's rainy day fund.